In the chapel of the Palazzo de’ Medici in Florence, the walls are covered with the Procession of the Magi. The three kings are followed by a host of the Medici family, their friends and associates. 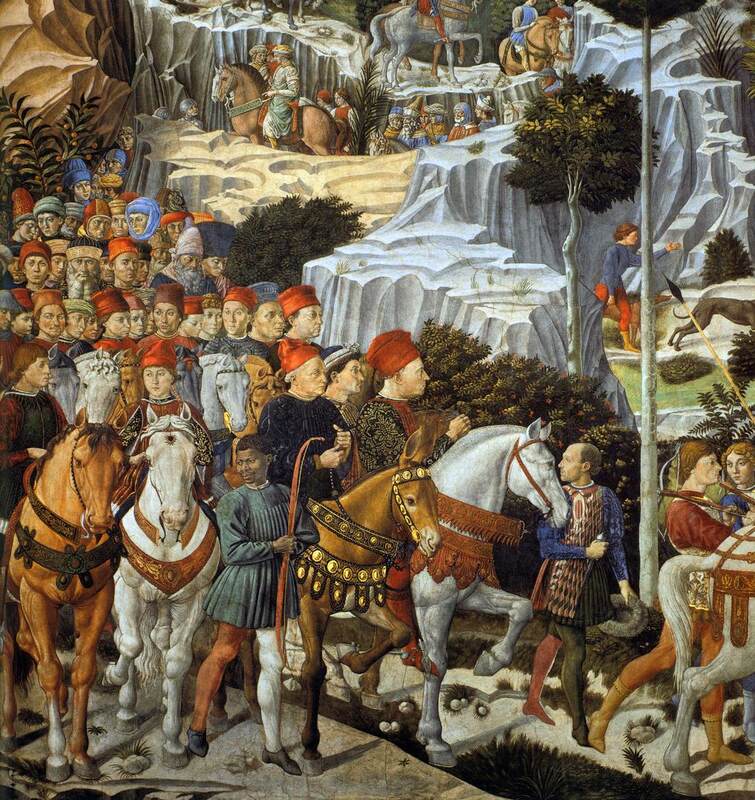 At the head of this procession are four riders said to be Piero de’ Medici (riding white horse on the right), Cosimo, his father, Galeazzo Maria Sforza and Sigismondo Malatesta. A Gift for the Magus features not only the decoration of this chapel, done by Benozzo Gozzoli, but also the events it commemorates, which are two. 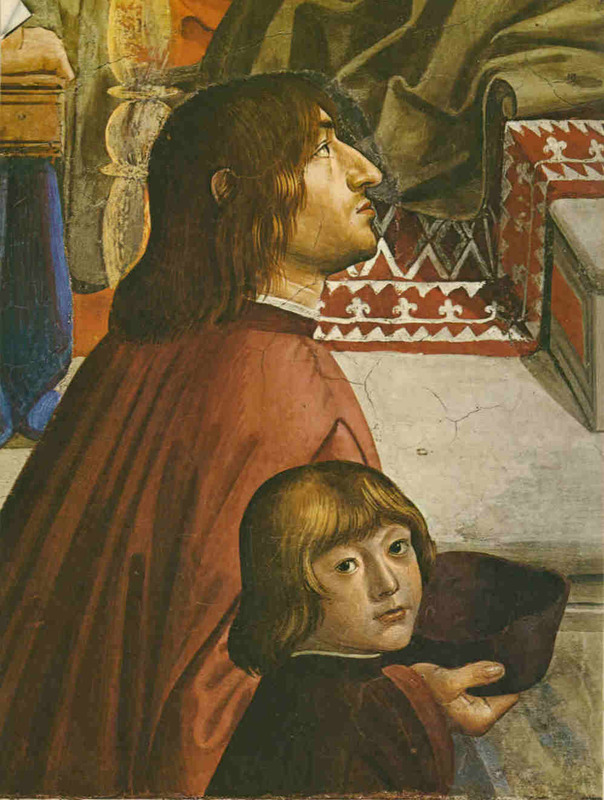 One is the Grand Council of Florence, 1439, where the Greek and Latin churches sought to reunite; the other was the more recent visit of Sforza and Malatesta, who came to Florence in 1459 to meet Cosimo and the other important visitor, Pope Pius II. I have never been happy with the attribution of that second figure as Cosimo. It just doesn’t look like him. I could live with that doubt very well until I had to write about it. It’s very hard to make a stab at a new reading in a novel: it’s setting yourself up to be put down. At the same time I didn’t feel able to say, ‘it’s Cosimo.’ It clearly isn’t. The contemporary portraits of him show us a consistent picture of a thin, strong face full of character. Gozzoli wasn’t a great painter, but that he could do a likeness well enough is shown in the other three riders – let alone all those coming on behind. Why get Cosimo wrong when he was probably in the chapel every day checking on progress? It seemed to me much more plausible that it should be Pope Pius II. The three important visitors of 1459 then become a kind of ‘anti-Magi’ – three unwise men. But that sounds like something a novelist would come up with! I searched the sources I had to hand and the best I could find was Cristina Acidini Luchinat, once curator of the chapel, being non-commital about the identification. So, she had her doubts, too. At home I turned to checking primary sources. 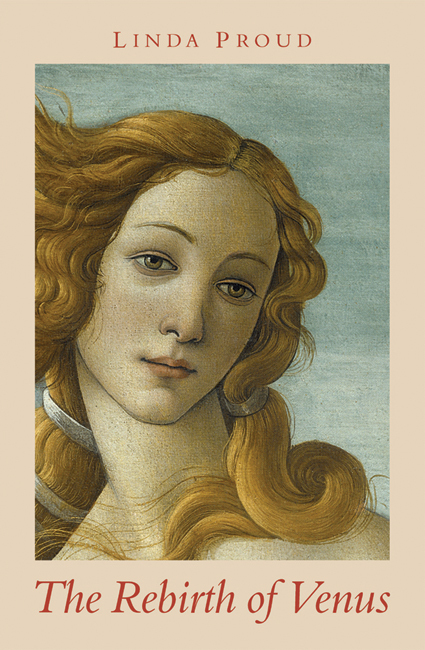 After all, it had been years since I had read Vasari’s Lives of the Artists, or Vespasiano’s Memoirs. I turned to the latter as my last burst of neurotic activity. It was a day off deadline. If I found anything now it would just be too bad. This book has been with me since the start when I found a copy in the Charing Cross Road in the 70s. It cost £8.50 I noticed – a lot of money back then. 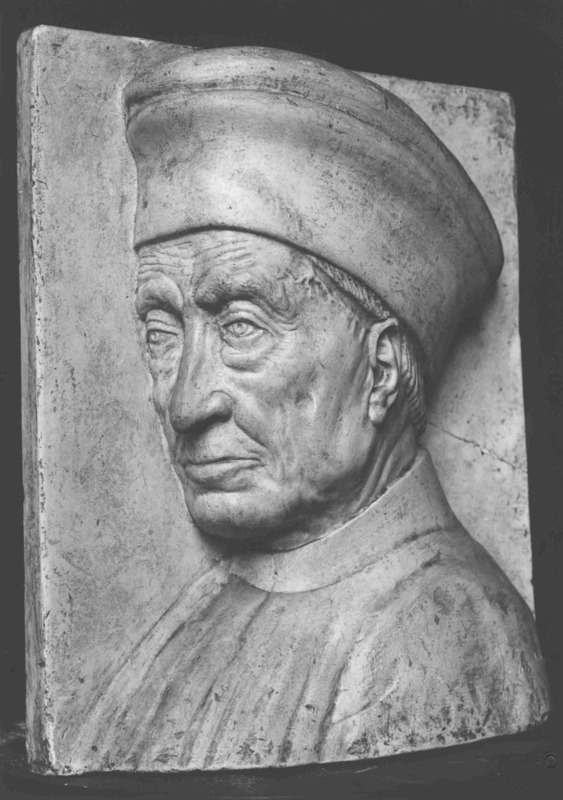 Vespasiano was a bookseller who I used as a character in A Tabernacle for the Sun, a grumpy old man always longing for the good old days, when men such as Cosimo de’ Medici commissioned whole libraries of books to be copied. He kept himself cheerful by writing these short biographies of all the illustrious men he had known, which included a few of the characters in A Gift for the Magus. So I read up on Antonino who is in the novel as a good guy and proto-saint, although some doubt is cast on this. I read through to the end and then went back. Something had caught my attention and was sticking like a burr. I went back to the passage about how Antonino was unostentatious; how even when he became archbishop (reluctantly, of course) he only wore fine clothes for important events and he always rode a mule lent to him by Santa Maria Nuova, with its trappings of gold bosses. Gold bosses. I’d seen those gold bosses on a mule, surely. In my book on the chapel I found them on the mule being ridden by the Mystery Man. 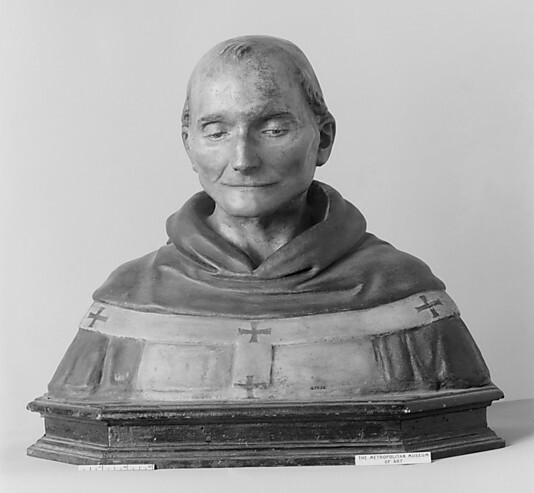 Is it Antonino, then, the Archbishop of Florence? I went back to my novel, changed a line and sent it off to the typesetter. It is more a portrait of the myth than the man. Is there any resemblance? What do you think? I’m in the last days of editing A Gift for the Magus and Really Busy, thanks to having friends to hand who will say things like, ‘Are you sure about that altar frontal?’ Next thing you’re googling altar frontals — and finding they are available to buy on Ebay. I am not finding what I’m looking for, but in the process I’ve come across this lovely site on the colour symbolism of the liturgical year which I thought I’d share. After all, who knows what you’re looking for today!